Hello! We have a guest blogger today! We have collaborated with Amanda from My Shoestring Life and put together some of our favorite pieces of advice for the quickly approaching Nerd Camp MI! We LOVE Nerd Camp and over the years we have learned a thing or two. Check out our must-have #nErDcampMI tips! Shout out to nerdy author, Jess Keating for the blog post idea with her Nerd Camp tweets last week! Jess will also be at camp! Amanda: Meeting authors, snapping photos, and getting them to sign my books was one of the best parts of Nerd Camp! I came to camp last year with an entire tote bag of just books! Everyone was so gracious and friendly that I regretted not bringing a few more books. My students loved that some of their favorite books had special messages from the authors themselves. Those copies were quite the coveted reads! This year, you’ll also want to bring a Sharpie or two because there will not be a designated book signing. Amber: With that much excitement and amazingness in one school, it can get toasty! Dress accordingly... I tend to be cold in air conditioning and the rooms that have a lot of people can get hot, so I like to dress in layers and always have a cardigan. Not all the rooms have air conditioning, so it was important to be able to remove layers when it got too warm. If I’m not wearing a tank top with a cardigan, I’ll probably be wearing some sort of bookish t-shirt and comfortable pants or shorts. No need to get fancy! Comfort is key. Amanda: It was HOT last year! Some of the more crowded sessions were standing room only and there was either little/no air or full out arctic blasts! Be prepared to be a little sweaty and at times quite cold. No one is super dressed up - shorts and your favorite nerdy tee are perfectly acceptable attire! And definitely wear comfortable clothes and shoes because you’ll be walking around all day. 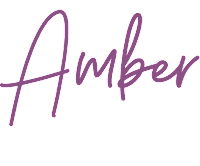 Amber: When you recognize someone from social media, say hi! Often times there is so much going on, they might not see you. This is a tip that I need to remind myself of often because I can get quiet and shy in big groups. Luckily, the “nerdy” crew is like my tribe and I find myself comfortable with everyone quickly because we all have such similar interests! Amanda: Definitely say hi! Meeting in real life is the best feeling - especially after many of us have tweeted and collaborated online! Also, having a name tag really helps! I wore a nametag last year with my first and last name plus my Twitter handle! This was great because then people could easily approach me and introduce themselves. I also found it less intimidating if someone else was wearing a name tag, too! Then I was certain I knew who I was approaching and talking to. DIY your own simple one using an old button and some laminated cardstock! Amber: I’m not sure about other providers, but I have Verizon and the cell service is not great for me at the school. I try to conserve battery by keeping my phone on airplane mode and waiting until I’m back at the hotel at the end of the day to post anything to social media. Note: I did not notice a big difference with Twitter though, I usually tweet the entire two days and follow the hashtag #nErDcampMI. If I try to post anything to Facebook it takes too long and drains the battery. I just keep my phone on airplane mode in between tweets and keep an external battery with me at all times because, let’s face it, we’re all addicted to social media! Amanda: I bought a cheap lipstick charger from Amazon just for Nerd Camp! I actually forgot it on Day 1 last year and my phone completely died! Between tweeting out memorable quotes and taking photos - my phone was dead by the time I reached our hotel. Definitely bring a charger because you’ll want to be able to take photos or live tweet during camp. Also, on Day 2 all the rooms and sessions are posted to Google Drive, so you’ll want your phone fully charged to help you find where you’re going! Amber: This will be my first year volunteering for Nerd Camp Jr. and I am so excited! The Nerd Camp crew gives so much to us with the camp being free and I want to give back in any way I can! Nerd Camp Jr., for little readers and writers, is Tuesday evening after the teacher Nerd Camp wraps up. Many (if not all!) of the authors stay and help lead sessions with students from the Parma, Michigan area. Amanda: I also decided to volunteer this year at Nerd Camp Jr.! Last year, we were hanging out and talking with Mr. Shu after the sessions as the line for Nerd Camp Jr. was beginning to form. It was so incredible to see all those kids waiting for their own camp experiences. I knew I wanted to be a part of that experience this year and help out since it’s run entirely by volunteers. Amber: The two days of camp go by SO FAST and I found myself not wanting to waste any time eating (which is SO not like me. LOL). Having snacks like granola bars in your bag or a packed lunch will be a lifesaver. Western High School is not near any restaurants or stores to try and pop into between sessions and waiting in line for lunch when you’re anxious for your next session is not fun (some of the rooms get full!). In past years we did eat at one of the open vendors (with the shortest lines) but this year I think we might bring our own lunch to eat on the run. Don’t forget your water! It does get toasty and I found myself downing water all day. Amanda: It’s a full day of learning, so bring your lunch and snacks! Last year, the food trucks and cafeteria were swamped with 1,000+ nerdy friends all trying to eat and then get to their next sessions! Luckily, I had packed a few Quest bars to help keep me going while I waited in line for lunch. This year, my nerdy crew is bringing coolers and packing our lunch as to avoid the lines and hopefully have a little more time to eat and socialize between sessions! You’ll also want to bring an insulated water bottle to stay hydrated in the heat. There was a small coffee shop on site and several water fountains but I know I was thankful for my HydroFlask on both days! Amber: In true ed-camp style, you vote with your feet. There is nothing formal about this PD, in fact, it’s quite the opposite. If you’re sitting in a session that is not what you thought it would be, it is completely fine to get up and go to your second choice. There are SO MANY great presenters and sessions, there is no reason to continue sitting in a session that is not going to benefit you. Each year I print out the session descriptions for Day 1, which can be found here, and I narrow down my choices during our 8-hour drive to Parma. I always waver on my choices and usually change my mind at the last minute, but I am so grateful that the notes are posted online so I can read through them later! There are not session descriptions for Day 2 because those are determined on the spot! It’s really cool to see it all unfold and you don’t want to miss it! If you have a topic that you feel others could benefit from, you should think about hosting a session, your name and topic will go on this storyboard along with your notes. In the past, I have learned a TON about technology and social media in the classroom, picture books, publishing, Mock Newbery and more! 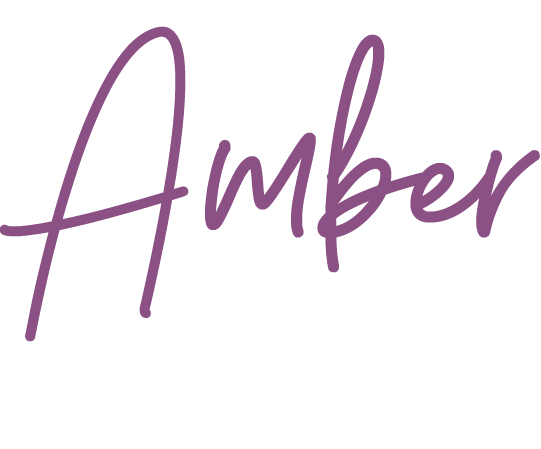 Amanda: I totally agree with Amber! Nerd Camp is all about YOU and what’s going to be the most beneficial to you and your students! On Day 2, you can move around session to session if it suits your fancy! You can also take a break if you’re feeling the need to chill out a bit and shop the mini-Book Bug bookstore that is set up on site! Also, don’t be shy - if there is something you want to know more about - put it on the topic board! You can go to a session as a leader or learner. I know personally, I learned so much from the Mock Newbery session last year even though I had already done some research on my own. I was also able to share some of my thinking with others who were just getting started! Amber: We all come to Nerd Camp to connect over our shared love of books and teaching reading and writing so we definitely want to be able to recognize you! Amanda: Definitely have a recent picture up prior to camp. While many of us post photos of books (and/or dogs and kids), we don’t always post pictures of ourselves. It’s nice to put a face to a username before meeting up at camp!